Maxstor as Industrial Safety Tools Cabinets Manufacturer in India, we understand the requirements of end users. As an Industrial Tool Cabinet Supplier in India, we make sure that drawer slider is easy and free moving with heavy duty ball bearing for long life despite using it roughly. These tool storage cabinets are designed purely for industrial purpose thus it is also known as industrial tool storage system. 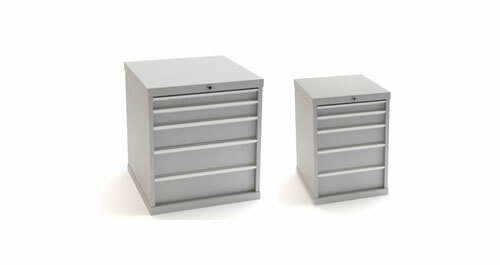 This Industrial Tool Cabinet has drawers of differing heights and widths to match your requirements. This Industrial tool cabinet has special central locking choices like push loch, hinged bar lock with padlocking or cam locking. We flexibly provide a wide range of tool storage cabinet, industrial tool cabinet, and Vertical Drawer Storage System for the specific applications Industrial tool cabinets are specifically designed to make systematic in-line coordination. Drawer cabinet contains divider and partition for the organized arrangement of tools. These tool cabinets are provided with central locking options like push lock and hinged bar lock with padlocking or cam locking. Wide range designs for a wide variety of applications such 570 / 720 / 1020 mm wide. Heavy-duty Drawer slides for tough operational and heavy load carrying capacity. Per drawer load capacity from 35 to 100 kg UDL. Divider and partition to keep all tool and spares in organized form.